Orchestras all over America are having a difficult time balancing their budgets in tough economic times and one isn't surprised to see many of them playing it safe - programming largely repertoire that audiences know and love to keep their box offices busy. Not the case in Austin, Texas! Yes, the Austin Symphony (ASO) gives its audiences a healthy dose of the "familiar" classics...but to its credit, it also occasionally steps out on a limb to promote neglected music - in this case, "made in America!" 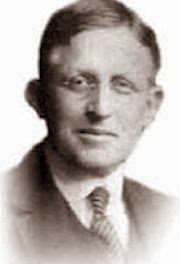 Last week, the ASO programmed three works by Edward Burlingame Hill (1892-1960), a more than “relatively” unknown American composer. While Hill (photo:right) spent most of his life teaching at Harvard, he was able to get some performances of his work by ensembles of the stature of Koussevitsky and the Boston Symphony. He is also remembered as a teacher of classical superstar Leonard Bernstein, and composers Roger Sessions and Elliott Carter, among others. While Hill apparently successfully nurtured the musical genius of others, his own music has disappeared almost without a trace. Last season the Austin Symphony gave Hill’s Symphony No. 4 its world premiere! 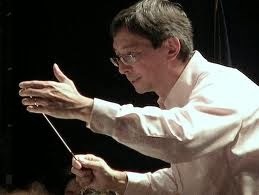 This season, in programming three of his works in one concert, the Austin Symphony and conductor Peter Bay were setting out on a Burlingame Hill adventure and inviting audiences to take that journey with them. Austin Symphony Spearheading Hill Revival? A cursory scan of orchestral programming around the country gives no hint of a Hill revival. In fact, there isn’t one! The Austin Symphony is singlehandedly leading the charge. Not only is the ASO performing Hill’s music in concert, it is also releasing a "live recording" CD of the four Hill pieces it played - the Austin Symphony’s first commercial recording! In his program notes for last week’s ASO concerts, Karl Miller claimed that the neglect of Hill’s music “had more to do with circumstances as opposed to the quality of the music.” I am already on record as having being unimpressed with last season’s Symphony No. 4, and while the three works for piano and orchestra performed last week each had some memorable moments, I came away from that concert more convinced than ever that Hill was, at best, a minor composer. To offset the unfamiliarity of the Hill pieces to his audience, conductor Peter Bay alternated the three Hill pieces with some incidental music written by Edvard Grieg for Ibsen’s play, Peer Gynt. Interestingly, both Grieg and Hill were miniaturists; that is to say, they were at their best in short pieces. Unfortunately, while Grieg is one of the greatest miniaturists in the history of music, Hill’s miniatures often give the impression that they are short because the composer couldn’t think of anything more to say. Taking the comparison further, while Grieg gives us one inspired melody after another – especially in Peer Gynt – Hill demonstrates no lyric gift at all. In his program notes and pre-concert talk, Karl Miller also emphasized the influence of jazz on Hill’s music, noting that the jazz in question was “very early” jazz. To my ears, Hill seemed to miss the point of jazz music entirely. Significantly, the evening’s soloist, pianist Anton Nel (photo:right) chose Debussy’s Golliwog’s Cakewalk as an encore. In this charming piece Debussy showed that he not only understood the jazz music of his day, but he also understood how it could be used to wonderful effect in a classical piece - but then, Debussy was a musical genius and Hill was not. Then there is the example of Maurice Ravel and his Piano Concerto in G major. This piece not only illustrates the influence of jazz on classical music, but also demonstrates an ability to handle large forms. Hill’s three works for piano and orchestra - none of which lasted much more than 10-12 minutes - seem more like “sketches” for a concerto than finished pieces. Strangely, each of the Hill pieces has a grandiose tune that would have been more at home in a bigger piece. The grandeur fails to flow from what has come before, and never reaches its full potential. The piece is over before we can appreciate what all the huffing and puffing is about. That said, Concertino No. 2 did have a slow section of uncommon beauty, and Concertino No. 1 had some striking harmonies and orchestral textures. While he tossed off the demanding piano parts with his usual mastery, pianist Anton Nel was, unfortunately, guilty of trying to oversell these modest pieces. One tired of his continual tossing of both arms in the air after nearly every phrase. In spite of my reservations, however, I did welcome the opportunity to hear these three pieces by Edward Burlingame Hill, especially in such well-prepared performances. The concert helped to flesh out my appreciation of what American composers were writing in the 1920s and 30s, and how they were influenced, for better or worse, by jazz and other home-grown music. This was a period when many young American composers were going to Europe to learn their craft but trying to create a sound and a style that was truly American. Aaron Copland was spectacularly successful in this regard, and not long afterwards, Leonard Bernstein. And the figure of George Gershwin towers over most of the others. Gershwin understood jazz from the inside out, had a unique gift for melody, and was well on his way to being able handle large forms too, when he died suddenly at the age of 38. I would venture to say that as long as there are symphony orchestras Rhapsody in Blue, An American in Paris and the Concerto in F will continue to be played – and often. Whether or not Grieg’s popular Peer Gynt Prelude and Suites were programmed to balance the unfamiliar Hill pieces, their inclusion was definitely appreciated by the audience. Peer Gynt may be overly familiar, but it is wonderful music that deserves to be part of a “main series” program not just a Pops concert. The musicians of the Austin Symphony were in top form playing this music, and conductor Peter Bay found the essence of each of these short pieces. The strings played with remarkable warmth, and the winds and percussion sparkled. For their recording of the four Hill pieces, the Austin Symphony engaged some of the best producers and engineers in the business. Blanton Alspaugh and John Newton operate a Boston-based recording company called Sound Mirror. The company’s personnel literally travel the world recording soloists, choirs and orchestras. Among the orchestras they have recorded are the New York Philharmonic, the Boston Symphony, the Mariinsky Orchestra, the Pittsburgh Symphony, the Houston Symphony, the Nashville Symphony and the Toronto Symphony. Recordings produced by Sound Mirror have been issued on most of the major labels including Philips, DG, Telarc, Chandos, Naxos, and Pentatone. 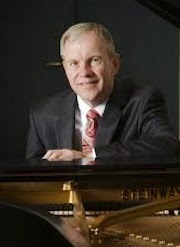 In 2013, Blanton Alspaugh won a Grammy as Classical Producer of the Year. Anyone interested in hearing more music by E.B. Hill will find only a handful of commercial recordings available, but there are some internet offerings here. For more on Karl Miller, an authority on neglected American composers and their music, visit the website for his record label Pierian.